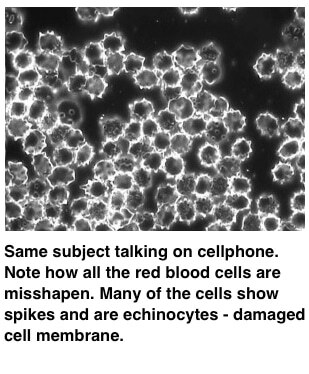 But maybe that’s because the effects are occurring at the cellular level, not the sensory level. 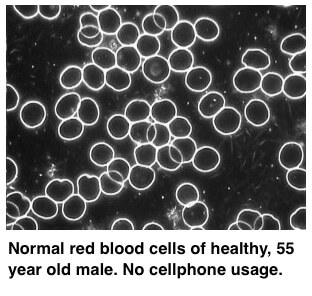 Here’s a great visual from a live blood cell analysis of what’s happening with our red blood cells during cellphone usage, or even just having it near our body when it’s turned on. So yes, if I turn my phone on, use it on speakerphone for a few minutes, and then pop it back into Airplane (with WiFi and Bluetooth turned OFF). 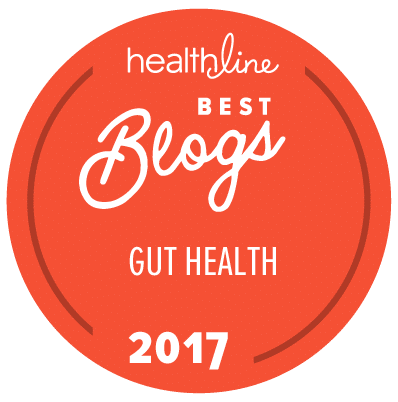 My cells probably have no trouble returning to normal. 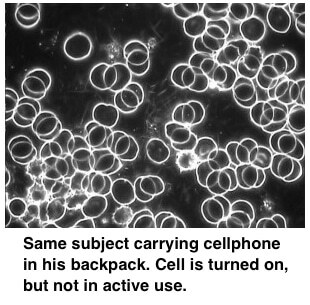 But if I am carrying a cellphone around with me, or using it as my primary phone, or running my computer/laptop on WiFi; at home, school, Starbucks, etc… What’s happening in my body at a cellular level? I’ve been a huge follower but come on this is ridiculous . Shame on you.